Alice started dancing at the age of 4, attending classes in ballet, tap, modern, drama and singing. She went on to take her ISTD exams in all three dance genres and gained her LAMDA gold award, Bronze arts award and her NCSSE Cheerleading coaching qualification, levels 1 & 2. Continuing her passion for the performing arts, Alice studied a BTEC diploma in Musical Theatre alongside her A-levels. She received part time training at the Urdang Academy, London and the Rosie-May Academy, Lincolnshire where she gained professional training from leading west end dancers and choreographers. Following this, Alice trained at the University of Roehampton, London, graduating in 2014 with a BA (Hons) in Dance Studies. 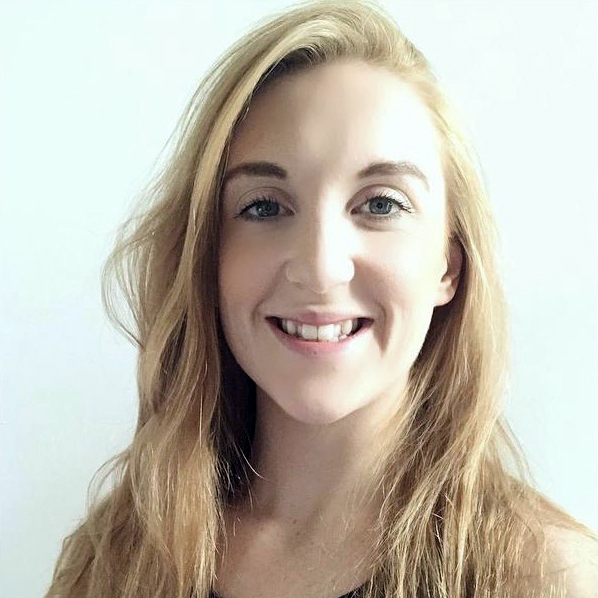 Alice has been teaching dance for five years at some of London's leading dance and theatre institutions and is thrilled to share Petite Performers with SW and SE London. "I teach this age group every day and think the Petite Performers’ material is fantastic - age appropriate, fun and imaginative. 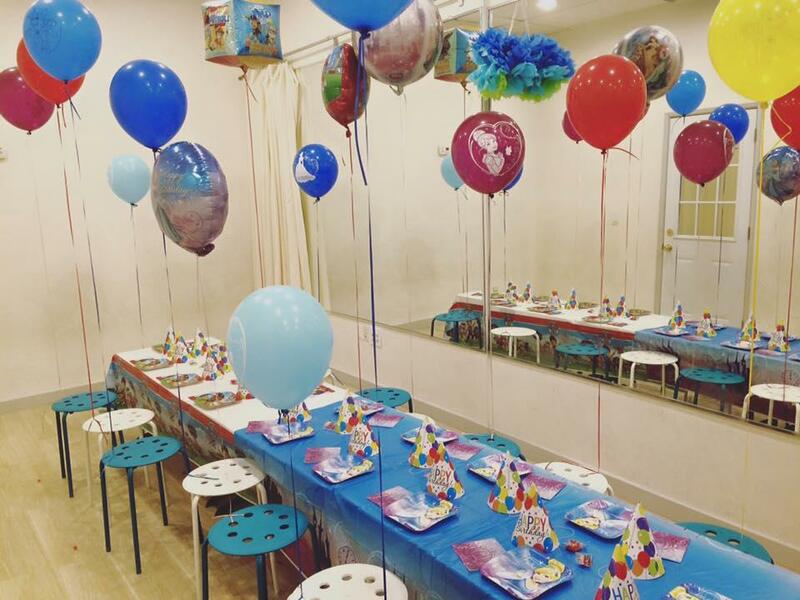 It really is a wonderful syllabus to teach"
Book your next party with Petite Performers! Petite Performers Barnes is a franchisee and licence holder of The Petite Performers Ltd.
Petite Performers Barnes is responsible for all transactions and payments relating to classes, camps and parties provided by Petite Performers Barnes. The Merchant of Petite Performers Barnes is Miss Alice Wells and she is the Merchant Of Record. All Petite Performers branches offer a one-off paid trial class. These must be taken as three consecutive weeks, after which the remainder of the term can be booked in full. At Petite Performers we believe trying out a particular class for three weeks gives both the guardian and the child a fuller picture of what can be gained from attending our wonderful classes. All classes and trials must be booked through the Petite Performers website using our booking software. Class sizes are capped at a maximum capacity and your child’s place cannot be guaranteed until full payment has been received. Adjustments to the original booking are made only if in writing and at the discretion of your Petite Performers representative. Upon signing up after your three week trial you will be required to pay a one off registration fee of £25. This includes your free Petite Performers T-shirt or Dance dress. Please be aware the we require a half a terms notice to leave your class. Uniform is compulsory for all children attending Petite Performers classes from 16 months up. Please see our ‘What to Wear’ page and ‘Shop’ for more information on what is required and how to order it. All class fees are non-refundable unless authorised at the discretion of your Petite Performers representative. Each circumstance where a refund may be requested is assessed on its individual merits and cannot be guaranteed. On very rare occasions it may be necessary for a Petite Performers representative to cancel a class. If this happens you will be refunded or credited for the class or invited to attend a suitable, alternative class run by your Petite Performers representative. You will be notified of this by either email or phone so please ensure all correspondence details are up to date and correct at all times. If a class is missed for any reason you are invited to attend another class as a ‘make up’ session. This does not have to be the same genre as your regular class and can be a great way to try out other Petite Performers classes and styles. Make up sessions must be arranged and agreed with your Petite Performers Franchisee or Teacher ahead of time to ensure there is space in the alternative class. We do not offer a refund for missed classes. Please do not bring your child to class if they are unwell and could risk passing this onto other children or the teacher. All classes from 2 ½ years up are drop-off and Parents and Carers do not stay in the studio during the class. We understand that at this age it can be quite new for some children and their parents or carers but encourage you to help us transition and get to this stage as soon as possible. All classes from 6 months TO 2 ½ years require a parent or carer to join in the class and help guide the child through the exercises. Parents and carers are responsible for their children at all times throughout these classes. The age groups and levels for all Petite Performers classes has been determined by Head Office. Your child must be enrolled in the correct level class for their age. There are times when our Petite Performers teachers feel it is necessary to ask a child to move up or down a level. This is discussed with the parent or carer first and ultimately agreed by the teacher. Parents and carers must not enrol their child in an alternative class without prior consent from their Petite Performers representative. Please arrive no earlier than 10 minutes before the start of your lesson and leave the studio swiftly after it has finished as there is often another class to follow. Parents and carers of drop-off classes are responsible for their child until the commencement of the class and must not leave the child in the care of the teacher earlier than is necessary. Please give full details of any disabilities or learning difficulties your child may have at the time of booking to ensure safe and effective teaching methods are maintained and your child gets the best possible care and attention throughout their class. Please refrain from talking and chatting too much during the adult participation classes. If your child is transitioning into a drop-off class and you find you need to be in the room for a few weeks, we ask you kindly to sit at the side quietly, encouraging your child to join in. Children concentrate and are much better in a calm and focussed environment. We kindly ask all children and adults attending any Petite Performers classes to be respectful and courteous to other families and the Petite Performers staff at all times. Should a child or adult become abusive or disruptive, it is the discretion of the Petite Performers representative to ask that person to leave the room and / or premises. We want all our participants to have an enjoyable experience at our school. If your child is uncontrollably upset, we recommend taking them out of the class until they have calmed down. We encourage all children who are potty training to attend our classes as normal. Please ensure you take them to the toilet right before the class starts and be on hand to take them during the class should they need to go. Please be aware that the nature of dance and drama classes means your Petite Performers teacher may, from time to time, need to have physical contact with your child. You must inform your Petite Performers representative in writing before the start of your first class if you do not wish the teacher to have any physical contact with your child. Food and drink is not permitted in the studio of any Petite Performers school. If your child is taking two classes back to back they may bring water into the studio with them. If children our attending our holiday camps then they must bring water, snacks and lunch with them in a secure lunch box. There will be specific breaks taken where they can eat and drink. On occasions the children may be photographed or filmed during their class for social media, advertising or website purposes. By attending our classes and signing these T’s & C’s you are agreeing to this happening unless you have otherwise informed us in writing. Please ensure all uniform and personal property is named clearly. Petite Performers cannot not be held responsible for loss or damage to any personal property. All personal information held by The Petite Performers Ltd Is treated as private and confidential and used solely by The Petite Performers Ltd and it will not be disclosed or passed on. Under the Data Protection Act 1988, private customers have the right to see personal information held about them. If you wish to exercise this right, or have any related questions about this, please contact Head Office. Each Petite Performers Franchisee is required to have their own Public Liability Insurance to cover themselves and their staff. At least one member of the Petite Performers team within your branch must be First Aid trained and all staff hold up to date DBS checks. Checks are available upon request. It is our aim and wish to operate at the highest level of Customer Service at all times. If you are dissatisfied with anything at all please speak directly to your Petite Performers representative who will deal with the situation immediately. Petite Performers Social Media Policy refers to all social networking sites, video/photo sharing sites, blogs, micro-blogs, wikis, podcasts, forums, instant messaging and geo-spatial tagging (for example, Facebook check-ins). Please see below for our regulations regarding Social Media and feel free to contact our office staff if you have any questions. Any comments or posts perceived to be obscene, defamatory, threatening, harassing, discriminatory or hateful towards Petite Performers staff, students or families may subject the owner to disciplinary or legal action. Any content revealing or referring to sensitive studio information is not allowed to be shared online. Intellectual property laws (for example, music and choreography) must be observed by all studio patrons when posting online. While affiliated with our studio, (for example, images of your child in Petite Performers uniform) we will not tolerate any posts that are racially, sexually, physically or religiously offensive. All matters pertaining directly Petite Performers - whether it be fees, scheduling, placements or performance opportunities - may not be communicated via Social Media. We have an open door policy and encourage all communication, complaints and feedback to be communicated to the Petite Performers representative directly. You may not post photographs / videos that feature Petite Performers staff and children other than your own online without the proven consent of their parent/carer. We, Petite Performers Barnes, a franchise business operating under licence from The Petite Performers Limited (“Petite Performers”, “us”, “our” or “we”) are committed to protecting and respecting your privacy. We collect personal identification information from Users in a variety of ways, including, but not limited to, Contact details, Parent and/or Carer name, address, phone number and email address, designated emergency contact name and phone number, Your child’s name and date of birth, Payment details such as credit / debit card details, Photographs and / or video footage. Information may be collected when you make enquiries, book classes, reserve parties, sign up for camps or purchase merchandise. Photos and videos may be taken in classes, shows and events for promotional use on social media sites and our website. In the interest of safety, we must also retain Information about your child’s health including any medical conditions. We adopt appropriate data collection, storage and processing practices, and security measures that are designed to protect against unauthorized access, alteration, disclosure, or destruction of your personal information, username, password, transaction information, and data stored on our Sites. We limit access such personal data to employees, agents, contractors and other third parties who have a business need access the data. Each of the aforementioned listed agents and are subject to a duty of confidentiality. We operate as an independent franchise business of The Petite Performers Limited. Some of your personal information is transferred between us and The Petite Performers Ltd (and vice versa) to enable us to provide our services to you, Enquiries made through the Petite Performers main contact page on the Petite Performers website, for example, may be transferred to us to personalize your experience. We may have to share your personal data with (i) our IT support service providers, (ii) professional advisors including lawyers, bankers, auditors and insurers (iii) HMRC and other regulatory authorities (iv) warehouse suppliers and distributors (v) charities we support as appropriate. Where appropriate, we will share your data with our authorised personnel including but not limited to teachers, chaperones and administrative staff. All third parties to whom we transfer your data are required to respect the security of your personal data and to treat it in accordance with the law. We will retain and store your personal identification information for as long as is necessary to provide you with our services. Following that, for a commercially reasonable time for backup, archival, and/or audit purposes. You have certain rights under applicable data protection laws. These may include the right (i) to request access and obtain a copy of your personal information, (ii) to request rectification or erasure; (iii) to restrict the processing of your personal information; and (iv) if applicable, to data portability. In certain circumstances, you may also have the right to object to the processing of your personal information. We will consider and act upon any request in accordance with applicable data protection laws.